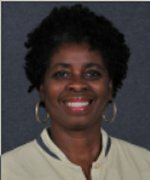 USTFCCCA Hall of Famer and Olympic gold medalist Jeanette Bolden was named UCF's head track and field/cross country coach in June 2013 after a successful career at UCLA. The three-time NCAA championship coach and a former United States Olympic team coach arrived in Orlando after 20 years at her alma mater. "I'm extremely excited and also honored that Todd Stansbury has the faith in me to lead the track and field program," Bolden said. "UCF is a fresh and vibrant university and has a lot of opportunities for young people. I plan to continue the upward arc of the program. Coach Caryl (Smith Gilbert) invested a lot in the team, and I just want to continue the successful path that she started to pave. "I have been at UCLA all my life and I am grateful for the opportunities I had there. I will always be indebted to them, and I thank the athletic department, especially (athletic director) Dan Guerrero, for all they have done for me." Bolden inherits a program that has skyrocketed to the top of collegiate track and field in recent years. The Knights have won six Conference USA titles (4 outdoor, 2 indoor), recorded two top-five finishes at the NCAA Championships and racked up more than 50 All-America honors. "We're very excited to have a coach the caliber of Jeanette Bolden join the UCF family," said Todd Stansbury, Vice President and Director of Athletics. "To hire a Hall of Fame coach, who has won an Olympic gold medal, coached Olympic champions and led teams to multiple NCAA Championships shows the level of commitment we have to women's track and field here at UCF. We currently have one of the top teams in the nation. With Coach Bolden leading our efforts, I believe we can become a long-term powerhouse track and field program." Bolden's accomplishments as a collegiate head coach, U. S. Olympic head coach and gold-medal winning U. S. Olympic athlete are unmatched in the world of track and field. As the Bruins' head coach from 1994-2013, she led UCLA to three NCAA team championships -- the 2004 outdoor and the 2000 and 2001 indoor titles. They were the first national indoor track and field crowns - men's or women's - in school history. A specialist with sprinters and hurdlers, Bolden also mentored four Bruins to six NCAA outdoor individual championships: Nicole Leach (2007/2009, 400H), Monique Henderson (2005, 400M), Sheena Johnson (2003/2004, 400H) and Joanna Hayes (1999, 400H). Since 1994, Bolden has coached more than 50 UCLA All-Americans in the sprints, hurdles and relays. Under her direction, the Bruins won 10 Pac-10 Conference titles, including eight consecutive from 1997-2004. She is a 10-time Pac-10 Coach of the Year and nine-time United States Track Coaches Association (USTCA) West Region Coach of the Year. In 2006, Bolden earned one of the highest honors of her distinguished coaching career when she was named head coach of the U.S. women's track and field team for the 2008 Olympics in Beijing, China. She was the first head coach in U.S. Olympic history to have won an Olympic medal as an athlete. At the 1984 Olympics in Los Angeles, Bolden earned a gold medal on the U.S. women's 4x100 relay and placed fourth in the 100 meters. In Beijing, Bolden led the American women to, at the time, their third-highest medal count (23) in U.S. Olympic history and the most since the 1992 Barcelona Games. Bolden helped coach Dawn Harper (gold, 100H), Johnson (bronze, 400H) and Henderson (gold, 4x400 Relay) to Olympic glory. On Feb. 13, 2004, Bolden was presented the prestigious C. Vivian Stringer Award, an accolade which is presented to a woman who has experienced outstanding achievement as a coach - exhibiting a high standard of propriety, imagination and innovation as a character builder in the tradition of great teacher-coaches. Six years later, she was inducted to the USTFCCCA Hall of Fame. Bolden has served on a number of NCAA and track and field boards and has been an assistant coach for the World Indoor and Outdoor Championships. In 1998, she was named the USOC Track & Field Developmental Coach of the Year. In 1994, Bolden served as an assistant coach for the West squad at the Olympic Festival in St. Louis, Mo. and in 2006, she served as the head coach for the 2006 World Cup, which was held in Greece. As an athlete at UCLA from 1981-83, Bolden was a five-time All-America performer. In 1982, she helped lead the Bruins to their first NCAA Outdoor championship. She graduated in 1983 with a degree in sociology. She served as an assistant for two years before taking over the program in 1994.